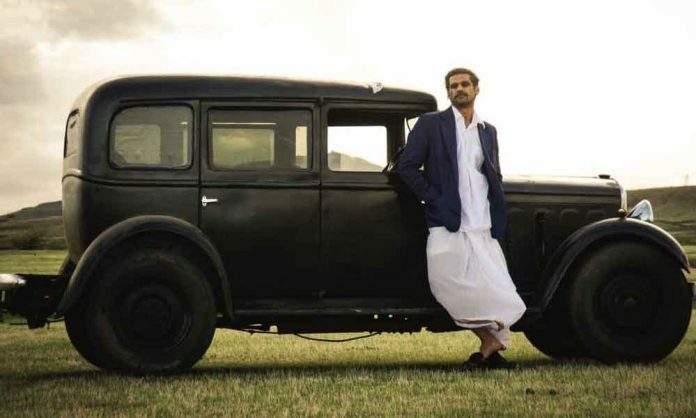 Sohum Shah’s film Tumbbad released across India on 12th October,18. The film is going steady on box office with 0.70 crore collection on Day4 of the release. After it made Rs 65 lakh on Friday, Rs 1.15 crore on Saturday,Rs 1.45 crore on Sunday. its total box office collection now stands at Rs 3.95 crore. Tumbbad has struck the right chord with the audience and has already received a tremendous word of mouth publicity. Even critics have showered praise on the film and Sohum Shah, who has impressed the audience with his role as Vinayak Rao. Tumbbad offers spectacular visuals which take the audience on a trip to the interiors of yesteryear Maharashtra giving glimpses into the lifestyle of Konkanasth Brahmans. The makers of the film have also gone overboard and had created the era of 1930 and 1940’s in real village. Mixing elements of fantasy and horror, Tumbbad is a thrilling experience that questions the roots of human greed while providing entertainment. The project has been a six long year journey for Sohum Shah. Tumbbad is an Eros International and Aanand L Rai’s presentation and a Sohum Shah Films in association with Colour a Yellow Productions. Co-produced by Filmi Väst and Filmgate Films. Tumbbad released on 12th Friday and is going strong on the box office.